Hello, my name is Michelle from Brampton, Ontario. I have finally gathered up the courage to join Block Lotto officially this month! I made three blocks and you can read more about them here. Welcome. It’s great fun to try out Sophie’s blocks each month. Welcome, Michelle! You’ll have fun here. 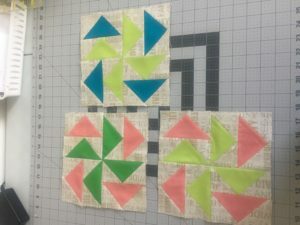 Cute blocks!